Thanks to the internet knitting has become a hobby shared internationally. 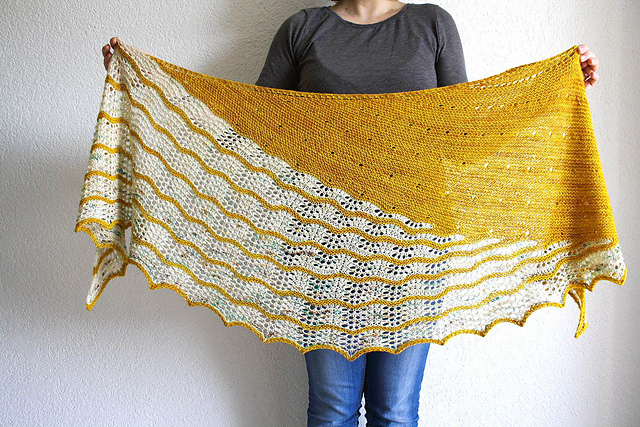 We can easily connect with knitters around the globe to share our WIP and FO. And small business like ours can sell their yarn to Local Yarn Stores around the world. I am often asked about patterns translations, so I decided to start a series on the blog on designers that create in different languages. Since our business is located in Québec, I decided to start with my favorite French designers. I hope you enjoy their work as much as I do! 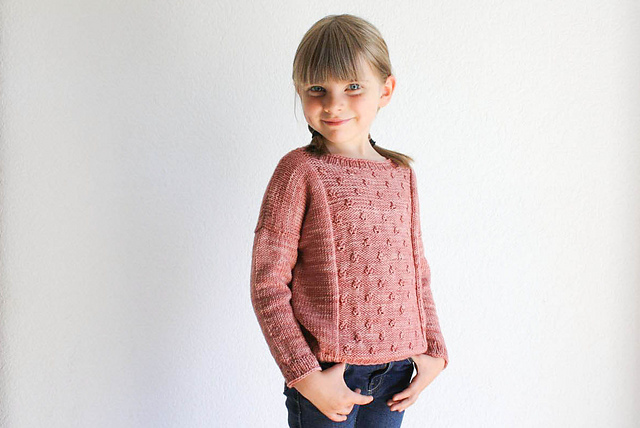 I create modern knitting patterns for women, babies and children. 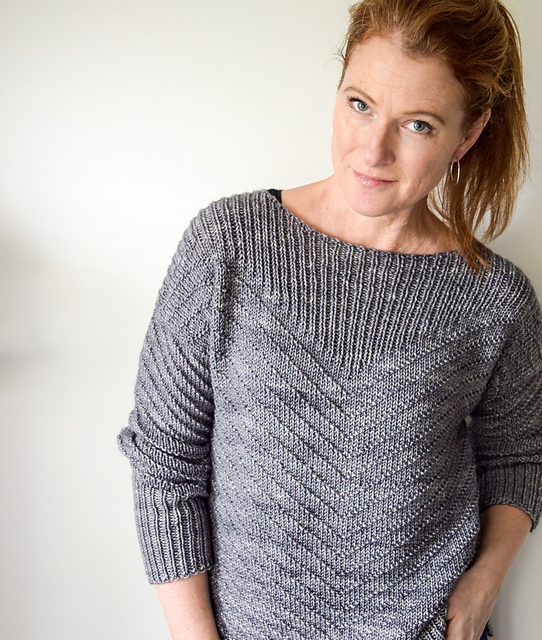 Timeless, comfortable and wearable, my designs are easy to make and suitable for all knitting levels, from the very beginners to the most advanced knitters. Whether it’s a sweater or a cardigan, a baby garment or a lace shawl, the idea often comes from the colors and texture of the precious skeins that I lovingly collect months after months. 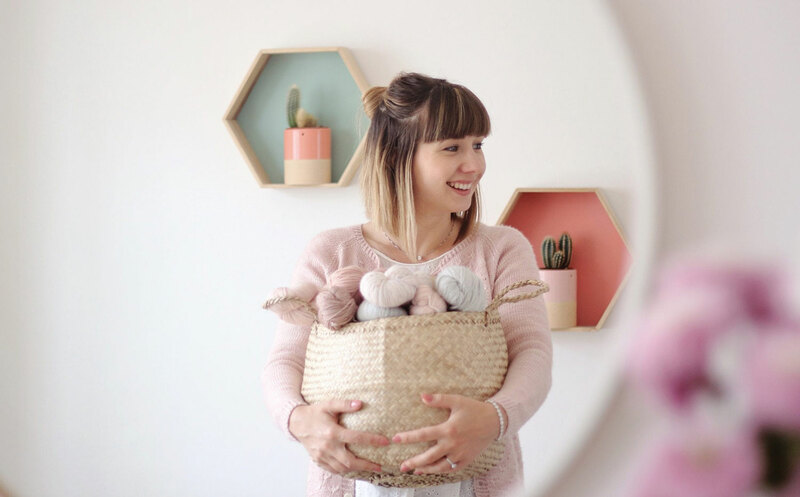 More than a passion and a job, knitting is a real way of life. I knit every day, all the time, everywhere. Even in my bed! To follow Nadia’s wooly adventures find her on Facebook, Instagram and Ravelry. 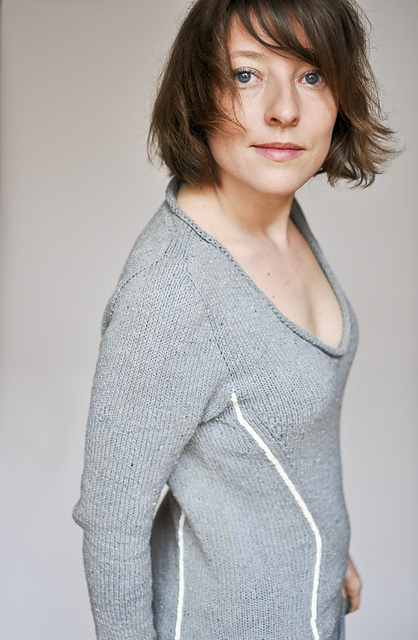 I launched my knitting pattern brand, Marie Amelie Designs, in order to share with my customers my taste in modern and feminine garments. Knitters will discover new techniques for obtaining interesting details and polished finishing, making them not only feel proud to have knitted one of my patterns but also to wear what they have made. Nothing makes me happier than seeing what you’ve made with my patterns, don’t forget to tag me on instagram using #marieameliedesigns. To follow Marie-Amélie’s wooly adventures find her on Facebook, Instagram and Ravelry. 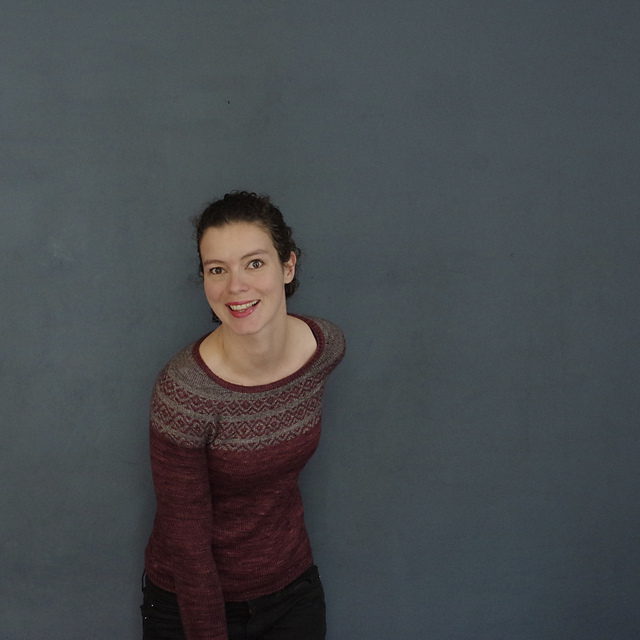 My name is Anna and I am a knitting pattern designer, based in England. I spend my days thinking about new pattern ideas and trying to create designs using beautiful yarns that inspire me. I first started designing by creating children’s patterns, but I’m now also creating patterns for women. My work is often described as delicate and feminine, and it’s exactly what I’m trying to create. My patterns are always available in English and in French, the two languages that I use in my daily life! To follow Anaïg’s wooly adventures find her on Facebook, Instagram and Ravelry. 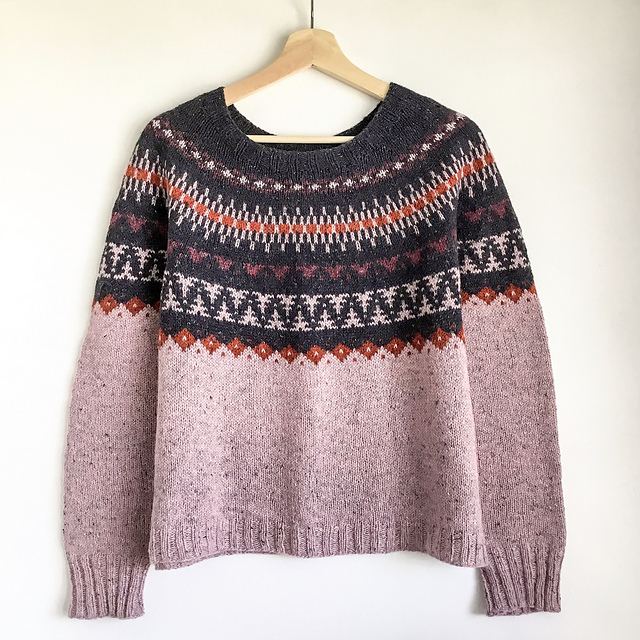 I have been a knitting enthusiast for over 12 years, and for many years, I fell for popular patterns on Ravelry, but which each time the finish garment did not fit me at all, and ended up in a closet and never used. Not wanting to give up knitting, I started a long research, on colours, shaping, and styles adapted to my morphology and body type. Frustrated for not finding a lot of patterns thought for real women, whatever their body types, I decided to launch my brand of patterns that would be inclusive to all knitters and body types. To follow Elise’s wooly adventures find her on Facebook, Instagram and Ravelry. I was born in Montreal, Québec and I grew up in Abitibi-Témiscamingue. I’ve always loved arts and crafts and learned how to knit at 13 years old. My very first knitting project was a sweater! I used to knit off and on but, like for many other knitters, the passion really took a serious turn when I discovered Ravelry. On August 2015, I left my position with an international union where I worked for 20 years, moved from Ottawa, Ontario to Richmond, British Columbia where I now spend blissful days designing and knitting. To follow Josée’s wooly adventures find her on Facebook, Instagram and Ravelry. I am from Quebec and I am now living in New-Brunswick with the love of my life and my crazy cat. 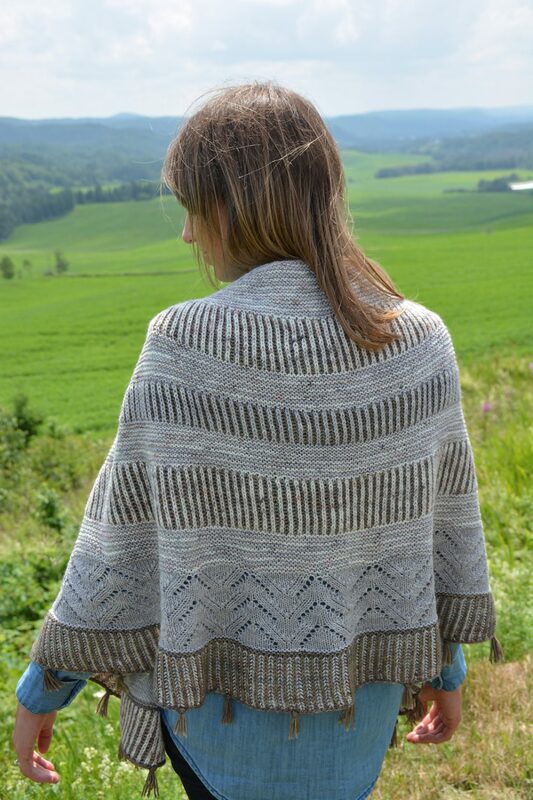 I design modern knitwear pattern, mostly with yarn from Quebec and Canada. I particularly love the top-down and seamless construction. With my friend Audrey I co-host a knitting podcast on Youtube called Les Bas du Fleuve. In 2017 I published my first collection Fleuve Saint-Laurent. To follow Marie-Christine’s wooly adventures find her on Facebook, Instagram and Ravelry.